Beijing, Oct 24 (IANS) President Xi Jinping has been consecrated as Chinas most powerful leader since Chairman Mao Zedong after his political ideology was added to the Communist Party constitution, media reports said. The symbolic move came on the final day of a week-long political summit in Beijing, the 19th CPC National Congress, at which Xi, 64, had pledged to lead the world’s second largest economy into a “new era” of international power and influence, reports the Guardian. 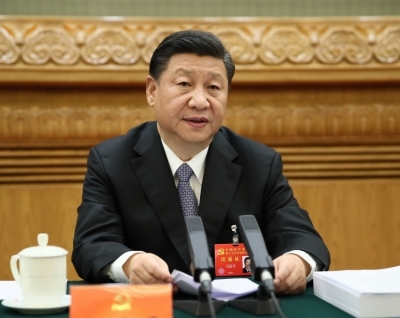 At a closing ceremony in the Great Hall of the People on Tuesday, it was announced that Xi’s “Thought on Socialism with Chinese Characteristics for a New Era” had been written into the party charter. “Our party shows strong, firm and vibrant leadership,” Xi said in a brief address to more than 2,200 delegates. “Our socialist system demonstrates great strength and vitality. The Chinese people and the Chinese nation embrace brilliant prospects. Since the People’s Republic of China was founded in 1949, only Chairman Mao had been honoured in such a way while still alive, in his case with a political philosophy called Mao Zedong Thought. Chairman Mao founded the People’s Republic of China in 1949.